Traditional ecological knowledge (TEK) is a living body of knowledge that includes environmental observations and experiences that occur in places and within an indigenous cultural context. In coastal Louisiana, a multidisciplinary team is using the co-production of knowledge – informed by science and TEK – to produce new information that can enhance decision-making in coastal restoration and protection planning processes, as well as determine how and whether the results of such an approach can provide more useful information for local hazard mitigation planning. This webinar will explore the integration of TEK into scientific-based environmental management decision-making processes through a case study in partnership with the Pointe-au-Chien Indian Tribe (PACIT) in Lower Terrebonne Parish, combining their TEK of the surrounding environment with U.S. Geological Survey maps, LiDAR elevation data, and sea-level rise projections to identify areas most vulnerable to sea-level rise and storm surge. Within this context, the presenter will share how the Sea Grant network is working to more broadly incorporate TEK into its mission of research, education, and outreach. Dr. Bethel is the Associate Executive Director of Research for Louisiana Sea Grant. 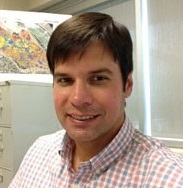 He has 20 years of experience in the application of geospatial technology, which includes remote sensing and geographic information systems, in multi-disciplinary research that addresses data and information needs for combined social and ecological decision support systems. For the past 10 years, Matt has focused his efforts on working with coastal communities in Louisiana to enhance hazard mitigation and restoration planning processes through collaborative partnerships and interdisciplinary research. This work centers on developing visualization tools and map-based products that utilize both science-based information and the traditional ecological knowledge (TEK) of local partners in a complimentary way to inform local, state, and regional-level decision-making. Most recently Matt has co-led a national-level effort in drafting a vision to inform the use of traditional and local knowledge in Sea Grant’s research, outreach, and education work over the next decade that includes best practices and selected references and resources identified through decades of experience working with people and places from across the Sea Grant Network. DeWitt Braud has been practicing remote sensing and GIS science and technology to applied research and analysis since the mid-1970’s beginning with the Division of Engineering Research, Remote Sensing and Image Processing Lab at Louisiana State University (LSU). During that time he also served as training supervisor and senior instructor in the NASA Earth Resources Lab Slidell Computer Complex, Remote Sensing Technology Transfer Program. Mr. Braud owned a business in remote sensing and GIS consulting before becoming a researcher-instructor in the LSU Department of Geography and Anthropology, and is now a researcher in the LSU Coastal Studies Institute and a collaborator with Louisiana Sea Grant. He has worked at LSU for a combined total of over 30 years. He also served as a member of the Environmental Protection Agency Science Advisory Board. DeWitt has a Master’s Degree from Michigan State University and a Bachelor’s Degree from LSU. He has also attended several post-graduate training courses in GIS, remote sensing, environmental planning and decision analysis at institutes and universities across the nation including Argonne National Laboratory, National Aeronautics and Space Administration, American Institute of Planners, Battelle Memorial Institute, Harvard University, University of California at Berkeley, University of New Orleans, and the Institute on Man and Science. During his professional career, he has worked for several Louisiana State agencies involved in planning and environmental management and has worked for NASA in remote sensing technology transfer.